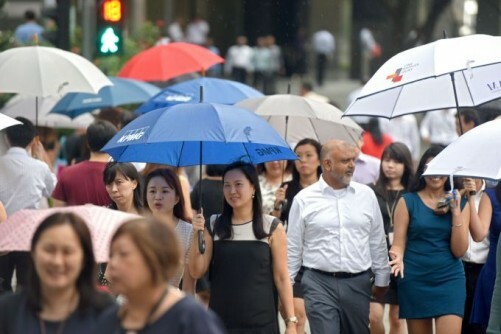 WOMEN'S share of board seats among Singapore-listed companies exceeded 10 per cent for the first time since data has been collected, the Diversity Action Committee (DAC) reported on Wednesday. Although the 10.3 per cent participation rate for women was an improvement from the 9.9 per cent measured six months ago, gender diversity remains short of the board gender diversity advocacy group's escalating targets of 20 per cent by 2020, 25 per cent by 2025 and 30 per cent by 2030. The proportion of boards with at least one woman director remained mostly flat, at 48 per cent compared with 47 per cent six months ago. The latest improvements were driven by mainboard-listed companies, most notably the larger ones. Women's share of board seats on mainboard-listed companies with a market capitalisation of more than S$1 billion rose 1.1 percentage points to 11.9 per cent over the six-month period. The junior Catalist platform, however, was a drag with women's share of board seats declining to 9.2 per cent from 9.8 per cent. DAC chairman Loh Boon Chye, who is also the chief executive of the Singapore Exchange, said: "It is encouraging to see our larger companies taking the lead in increasing diversity by appointing women on their boards." The DAC focused its latest report on new appointments, noting that only 12 per cent of appointments over the past 2.5 years were held by women. While that is an improvement over the current participation rate, it is still short of the pace required to meet DAC's 20 per cent by 2020 target. The committee urged corporate boards to be more open to appointing first-time directors and to look for directors with skills that do not fall within the traditional spheres of finance, law or strategy and planning. "Companies searching for directors with new skillsets do not have to look far," the committee said in a press release. "DAC found that there are almost as many women as men in the senior management of Top 100 primary-listed companies in fields of communications, marketing and human capital. There are also many senior women executives in the information technology sector in multinational corporations and consulting firms based in Singapore."